Thank you for the countless hours you have spent testing and retesting different detergent formulas all in an effort to produce a product safe for family and environment. Your efforts have not gone unnoticed. As a matter of fact, the market seems to be inundated with amateur chemists cranking out their unique combination of ingredients. 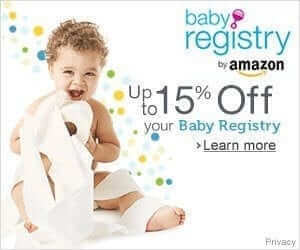 However, your efforts, although noble, have created a very large area of concern seen mostly by cloth diaper manufacturers and those of us in the information sector. Every day I receive comments and emails going into great depth about the problems they are having. Problem two: diapers are starting to stink. This started about 3 weeks ago. I was storing them in an open pail to let air in and now I have to close the pail because of the smell. Not ammonia (thank goodness), but more the dead animal kind of stink. Two weeks ago I took the diapers with me on vacation and washed them in a standard top loader and hung them out in the sun and they were getting better, but as soon as I came home and washed them in my FL washer again, the stink came back with a vengeance. I use ##### detergent. I was using the recommended amount of 1 scoop in FL, but have increased to 1.5 scoops to try to kill the bacteria. I do a cold wash no detergent on a “delicate” cycle with more water. Then a normal hot wash with the ##### detergent and an extra rinse. Last time I added in some Calgon which didn’t seem to help just yet. Then I do one more delicate cycle with cold water to really rinse them out. The stressed out parents are at their wit’s end, ready to give up cloth all together. I want to recommend another “green” detergent but the truth is the problems still remain. How do we reach a compromise between harsh chemicals and natural detergent? Is there a balance to be found? Is there a detergent out there that is heavy on the cleaning power and low on the additives? What’s a girl like me to do when these parents reach out in desperation? My standard advice is to use a mainstream detergent for a few washes then switch back to the natural detergent they were using. Feedback shows that this works wonderfully. But, I would love for cloth diapering parents to be able to use one detergent all the time. Perhaps I’m dreaming. I realize that there is never going to be one detergent that will work in all water types with all machines. Another concern I have with the majority (I’d say every but someone would prove me wrong) of green detergents is the recommended usage amount. Can 1 tablespoon really clean a load of 20 poop and pee laden cloth diapers? Economically, this sounds like a fantastic idea. But, are we setting ourselves up for failure by using this method? 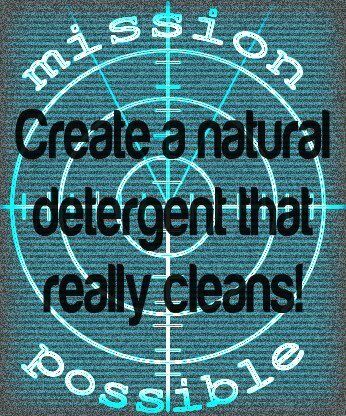 Personally, I have not had success using 1 tablespoon of detergent in the long run. I’d love to have the exact set up that you have because I know that if you recommend 1 TB it does work in certain conditions. This letter is a plea, an encouragement to spur on new formulas that clean deeply and don’t cause buildup. Your success leads to our happy cloth diapering days! I hear your frustrations and I agree. 1 TBSP cannot effectively clean cloth diapers. I own Molly’s Suds and we have a truly natural Laundry Powder…(formulated in an organic laboratory while we helped to oversee the entire process, not formulated in our home, we aren’t chemists, it should be done professionally). It works wonders on cloth diapers BUT while the standard 1 scoop for a regular load of laundry works great… Cloth Diapering is another animal. We suggest 2 scoops with hot water, 1 scoop with hot (or warm) water and then the final rinse cold with no Molly’s Suds Laundry Powder. We have customers that use all cold water, we suggest hot due to the feces and urine. It works effectively without stink when used as directed. I have found that there are many ways that people will recommend washing cloth diapers. It doesn’t have to be complicated. Bottom line is for your baby, your family and the planet… use a natural detergent that discloses their ingredients and find a routine that works with that detergent. Ours is fabulous, it’s natural and I’ll send you a sample if you’d like. Our respect to all you mamas (and dads) who cloth diaper, it’s awesome! Wow! Thanks for the great reply! Cloth diapers can be a challenge especially to first time parents. And yes, it would be best to find a natural detergent that will wash away the stink and bacteria but sometimes, it is just the amount of detergent and the number of well and thorough rinse is needed to have a well cleaned cloth diaper, a diaper rash free baby and a happy mom at that. I had to start washing my microfiber inserts once every two weeks or so in calgon and tide and rinse like there is no tomorrow. Otherwise I use Lulu’s and it works pretty well. I do tend to use more than the recommended amount and we have disgustingly hard water. It’s great that there are so many reviews out there about what detergents work for people and why, but there is not a cookie cutter detergent (IMHO) that will work for everyone. Take your shampoo for instance… or body wash… or dishwasher detergent… and the list goes on. Everyone is going to have their go-to that may work perfectly for that individual, but not great for the person across the country, or even down the street for that matter. The best advice I can give is to do as much research as possible about the water in your community and then work from there. If you buy XYZ detergent, but it does not work to your satisfaction in the first couple washes… contact the manufacturer. Kim (Rockin’ Green) was great at trouble-shooting with me when I first had issues. I have also had success with contacting Ruby Moon’s customer service, as well as when I discussed GroVia’s new RX treatment (supposedly comparable to RLR) with their CS department. Any detergent manufacturer worth buying from will work with you to figure out the problem… EVEN if that means you both find it’s better for you to use a different product. Those I have mentioned above had GREAT attitudes about their competitors in the industry and a good attitude of just helping me continue to use cloth regardless of what detergent brand I chose. I agree that many times the problem is not necessarily the detergent… it’s the amount of detergent used or the wash routine itself that is the problem. I wish everyone out there the best of luck with getting your CDs thoroughly cleansed. I, myself, had my daughter in sposies for months after the frustration of dirty diapers. It was only when I started reaching out to find a solution was I able to get my daughter back in her cloth, and I am grateful to those who helped me do just that! WASH cycle, body fluids are more soluble at the temperature they were released at so warm is better, you also get the agitation through the diapers which is better than just a straight rinse. Also a tad of detergent in this cycle really helps if you are having problems. Hard water is also a problem. If the minerals do not get properly broken down in the wash cycle, they will redeposit back onto the fibers of your diapers. In a short time you will have that barnyard stink and then a rash. We carry several natural detergents. Eco Sprout is by far our biggest seller and our customers LOVE it! We also carry Rocking Green and Tiny Bubbles. So the natural detergent manufacturers are really not to blame for problems. It just takes some trial and error to get your routine just right considering your water type, machine type, water level, amount of diapers per load. The best resource is to go to the manufacturer directly. It it their job to know how their detergent works the best. There is too much misinformation out there in the blog world that is not necessarily based on the actual science of laundry- just repeated. I use Eco Sprout and will sing their praises to anyone who will listen!! I tried Tide and it did not work over time, I struggled with constant rash and ammonia with Rockin Green. Tiny Bubbles worked pretty decent, but I always had that “not so clean odor”. I finally switched to Eco Sprout and have no problems at all! Not a single rash and no more ammonia issues. In fact, I have not had to strip my diapers since switching a year ago. Their customer service is AWESOME as I have not only read that on several boards, but experienced it myself. When I first started I had a little trouble getting my routine just right. After a few emails of troubleshooting we figured it all out! It’s so nice to hear that I am not the only one going crazy trying to figure out what detergent to use for my diapers! I read somewhere that once babies get older, sometimes washing twice is necessary, and that has definitely helped my son’s diapers come out smelling clean – finally! I am intrigued by everyone saying they use more soap; I always heard to use less, not more, detergent. I am going to give it a try! 1) Diaper manufacturers are not laundry or textile experts — somewhere back in the day the simple solution to extend diaper life and reduce customer concerns about residue was to recommend low dosing detergents. That simply doesn’t work — in fact it makes the problem worse. Low dosing= low cleansing, it’s that simple. Always follow the detergent manufacture’s usage instructions. 2) Boutique detergents almost always depend on soft water to achieve good performance. The big box guys have the capability of producing non-phosphate ‘builders’, part of the detergent mix that ties up the hard water minerals while washing. Unnecessary in naturally or softened water, essential for the remaining 90% of the market who has hard water. I always recommend customers ask their local grocer for the ‘best selling brand’ in their store. Chances are the customer base has figured out what works best for the local water supply. When it comes to washing cloth diapers, ‘the best selling brand” for your local grocery store is terrible advise. “the best selling brand’ could (and probably does) have softeners, whiteners, and other ingredients that do not work well on cloth diapers. To simply ask a grocer….is not accurate. If I walk into my local Jewel or Dominicks first of all, they are not going to know what is the top selling detergent, and more than likely, 99.9% of those purchasing main stream detergent at a grocery store are NOT cloth diapering…so their recommendation would be completely irrelevant. 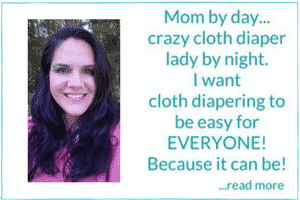 I have been cloth diapering for 4.5 yrs. (4 different children) I used to have to strip my diapers EVERY OTHER WEEK. It was horrible. I tried Allens, Rock-n-green and a few other detergents that I have forgotten the names to. Every one of them gave us problems. As soon as I followed textile-mike’s recommendations in washing cloth diapers the problems we had been experiencing (HORRIBLE stink, ammonia, rashes, open sores) all went away. I have been using tide. I went from stripping the diapers every other week to not having had to strip the diapers for over a year. I would say that speaks for itself. I don’t even buy any “natural” detergents anymore. They didn’t even work on our regular laundry. I have always used Rockin’ Green Hard Rock, usually Bare Naked. I did have some stink issues, but now I use Funk Rock in my cold pre-rinse, and every month or so, I do a Funk Rock soak. I do a second rinse after the wash cycle every time. I always air-dry my PUL shells, and weather permitting, I sun them. My diapers are in great condition (I’ve been using them for 17 months). I also used Rockin Green and it was great until we moved. Even the hard rock and funk rock wasn’t working. I washed the diapers 4 times on “kids care” (extra hot) and he was getting what looked like a chemical burn that got worse quickly and actually took the skin off his bottom. We weren’t able to cloth diaper for a whole year. Then I read about calgon. I soaked them in it, washed with it, and they were like new. I still use the hard rock, with calgon, but I wish things would not be labeled for hard water when they don’t work in truly hard water situations. We had ruled out hard water issues because we were using “hard rock”. It is very frustrating that we had to use disposables for an entire year when we could have been using the hundreds of dollars worth of cloth that we had already purchased. I have found that the fabric of the diaper is the problem. Microfiber holds in odor over time, but if I use hemp or cotton diapers I do not have that problem. We have hard water so maybe the microfiber would have worked if we did not, but this is my experience. I’m a bit partial to RnG for many reasons. Kim goes above and beyond what most owners do to help customers out. I realized a month ago that ever since I’ve been using thirsties prewash and detergent NO STINK! Seriously. I’ve been CDing for 6 years and have used so many popular natural products. Thirsties just works. The diapers smell like fabric afterwards. I have heard some good things about Thirsties’ formula…maybe I need to splurge and try it out. I was one of those moms who was thinking of giving up cloth diapers. I used a cloth diaper safe detergent and my diapers were never clean–but I was new to cloth diapering and didn’t know that my diapers weren’t getting clean. The night I thought I was just going to be done with cloth was the night my son woke up several times and I couldn’t figure out what was wrong until I changed his diaper and discovered that he’d been burned by the ammonia in his diapers. I switched to a mainstream detergent after talking to a cloth diaper retailer and I haven’t had any problems since. I am all for natural stuff as long as it works. As far as my experience goes, though, it was a nightmare and I felt like a terrible mother because my decision to cloth diaper caused so many problems for my son. Besides the lack of ammonia problems, he is also rash-free since we switched detergents. I didn’t realize the rash was from my diapers not getting clean. Hopefully your post will raise awareness and other moms won’t have the same bad experience (not to mention other babies)! totally agree… i use rockin green and i use 2-3 some time even 4 tb people might think thats a lot i personally dont think and i also do add extra rinses to get rid of any suds..
Don’t think you’ve jinxed yourself, but as the baby gets older and you change her diet, the wash routine for diapers will change. Not necessarily better/worse, easier/harder, but it will more than likely need to be tweaked along the way. =) And congrats on using cloth from birth, I was too chicken for the first three or four months! That’ll change next time though for sure! I’ve only been cd-ing for a little over 3 months, but in my hard water, I use borax in a cold water rinse and then wash in hot with borax and LifeTree laundry detergent. So far, so good. I sometimes add about 2 TB of bleach for a full load which doesn’t seem to leave any bleach residue. My diaper inserts (I use Flips) are really white and fresh and absorbent. Another issue I’ve been having is getting all my laundry clean with natural, CD friendly detergent…I’ve noticed that our clothes are stained (the baby doesn’t have any clothes without food or dirt stains), and look dingy, my white sheets look so gross! I never noticed this when I used liquid Tide or other non-natural detergent. It’s sad, I hate the chemicals, but how do you get laundry clean without them?? I have found that magical WAHM detergent, but it’s no longer being made. I was using 2 scoops ( that was provided) and my diapers never had a problem. So to stretch out what I have I use one heaping scoop and Eco-nuts as well. One heaping scoop alone wasn’t doing it and Eco-nuts alone weren’t getting the job done either… but combined my diapers are getting clean. I actually add about 40 drops of TTO to every load of CDs to help kill some bacteria. And I do everything with scalding hot water. I also have a regular ole’ top loader, relatively moderate water (with slight hardness from magnesium and calcium), and I wash every other day. I also prerinse night time diapers daily and do the same with poo diapers by doing a small short wash with a tsp detergent and a little TTO. Oh yeah, I use A Happy Green Life UNSCENTED. I assume the dipes are well clean because my kiddo had redonkulously sensitive skin and will rash instantly if there’s buildup. Prior to this routine, I encountered buildup. Ugh. The buildup and stink. I swear it’s all trial and error and random laundry rebooting. I’ve read that that can actually strengthen stronger bateria and tea tree oil should only be used diluted to .6. Who knows, though. I meant .6 or stronger. I thought you might find this interesting… I had read a lot about adding a few drops of TTO to your cloth diapers and considered it. Then I read this. Just something to think about! I have always had to use more than the ‘recommended amount’ of natural detergents to get diapers clean. Even for some loads of more heavily soiled regular laundry. No matter the brand. That’s when I started making my own – still have to use at least 4-6 TBSP for diapers…but still cost effective. That being said…I don’t think it is the detergents so much as the stupid front loaders who don’t use enough water to help the diapers get clean and rinse away the gunkies! I know people who have issues with their towels and even regular clothes using front loaders. I personally believe front loaders are the MAIN problem. (of course, I know others will disagree…but I will never buy one based on my mother-in-law’s, sisters-in-law’s and friends’ experiences with them, cloth diaper or otherwise! EcoNuts are awesome. The liquid and the nuts get my 4YO’s diapers clean. I’m a lazy washer, too. My baby is only 4 1/2 months old but we have CD’d since birth. We have been using BioKleen’s Premium laundry powder with great success (so far! I don’t want to jinx it!). I’m hoping that as she grows we continue to not have any problems. I’m not sure how hard our water is, but I think it is somewhere in the middle. That letter feels very familiar, but I know I am not the only one. I’ve had good luck with EcoNuts in a top-loader for the past 7 months, although anything with microfiber tends to retain pee smells regardless of detergent used. Even my hemp is smelling pretty good! This is great! Thanks for writing it. As for the 1 TBSP and does it work question… I use 2 tsp and it works great! Here’s what I did — I found the amount that I knew worked, then each time I added a bit less till I though the diapers didn’t get clean, then upped the amount to the previous amount that did get the diapers clean. Of course, I do this with lots of things (dishwasher detergent, coffee creamer). I would go so far as to say anyone who only uses 1 tbsp of any detergent has dirty diapers. They are just fooling themselves. Perhaps it is the quantity of detergent rather than the detergent that is the issue. They also need to rinse really well! I feel like if I’m using enough, I’m rinsing like 5 times!